The OUR Broomhall heritage project ran from 2013 to 2015 and was based at the Broomhall Centre, a local community centre in Broomhall, Sheffield. 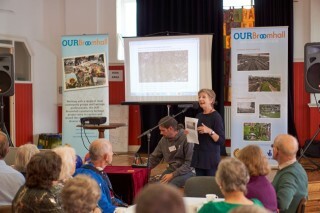 The project involved over 100 volunteers, 57 oral history interviewees, over 60 photo donors and 240 local school pupils, and engaged with numerous local residents from Broomhall and beyond. Events, training and activities were provided in local history, archaeology, archives, photography, filming, digital mapping, interview techniques, film editing, digital media and website editing. 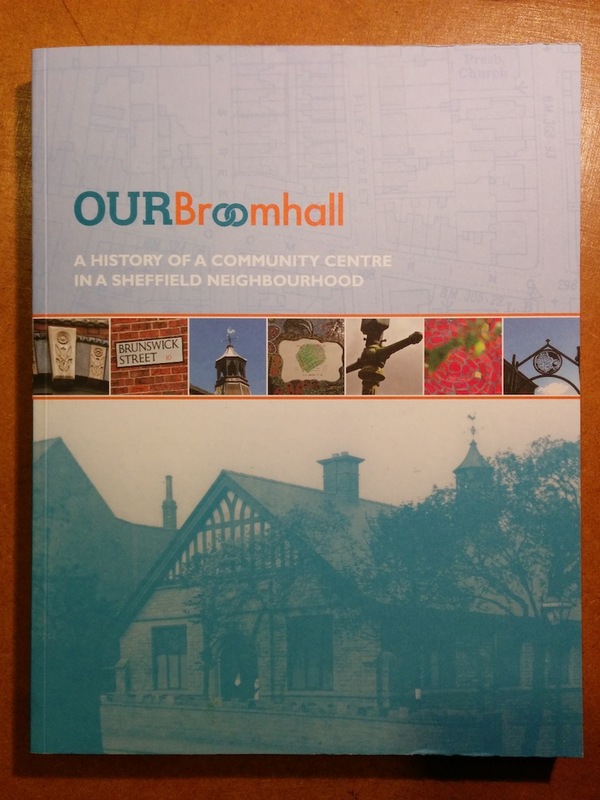 The project has produced an exhibition showcasing a selection of the best collected images, an extensive website full of local stories and photographs, and this book which focuses primarily on the history of the Broomhall Centre. The Broomhall Centre building has been at the heart of the community for 110 years and the hub for many local issues and campaigns. In this book we have showcased the history of the Centre and its incredible community workers and volunteers. It has been a community centre for over 40 years; it was previously St Silas youth centre, having been originally built by St Mark’s church, Broomhill in 1905 as St Mark’s Mission Hall, a chapel of ease for the Broomhall area. It was used for wedding receptions and as a shelter during the Sheffield Blitz of 1940. We have scanned hundreds of photographs and posters from its past as a community centre and trawled through previous meeting minutes to try to grasp and record its amazing history. In addition, project volunteers have researched what was on the same site before the Hall was built in 1905. The project has proved fascinating for everyone involved and we do hope we have been successful in safeguarding its remarkable legacy for future generations. This book is dedicated to all the community and civic-minded people, past and present, who have worked to improve the lives of all the inhabitants of Broomhall. We thank you. 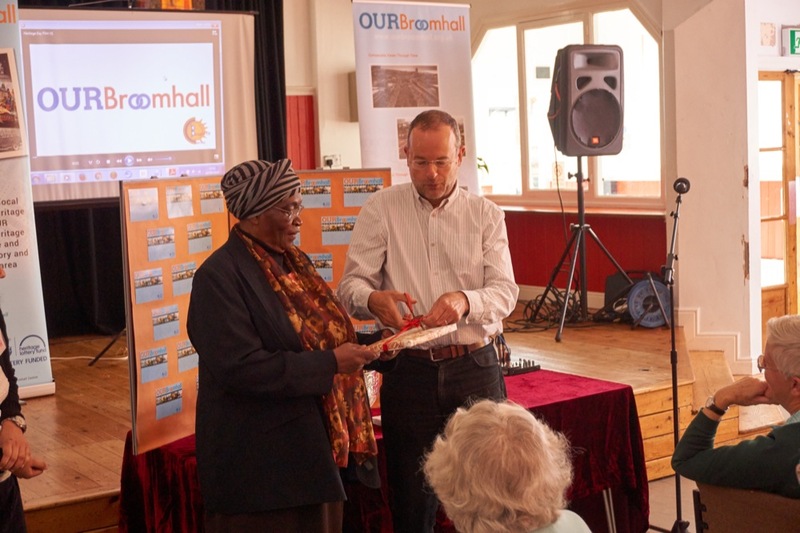 A special thank you is required for Mavis Hamilton, (image shown right) who has been involved in all the community-led voluntary organisations concerned with developing Broomhall for as long as anyone can remember and remains a Trustee/Director of the Broomhall Centre to this day. 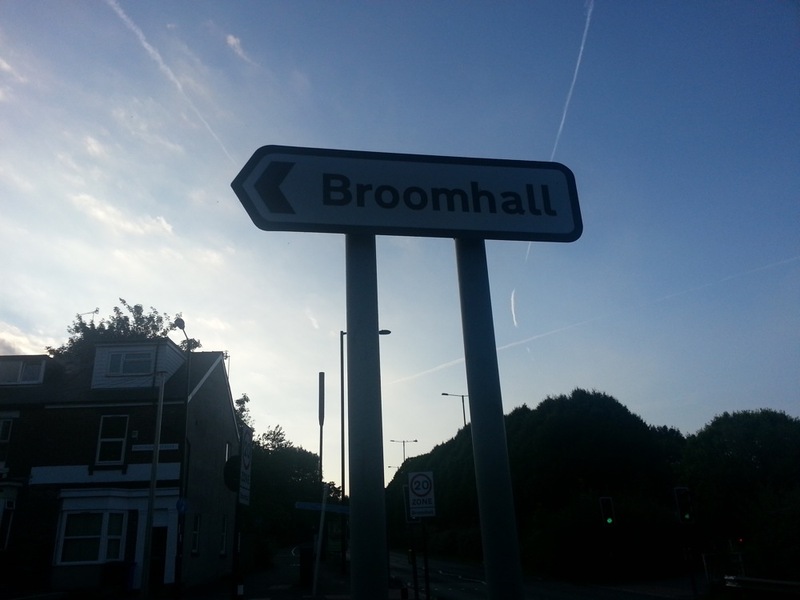 The Broomhall Centre is the hub of the local community in Broomhall, an inner city part of Sheffield. Despite its urban location, the area has conservation status and is home to a large selection of mature trees and shared green spaces, many of which have been developed and maintained by local volunteers. There are also designated allotments, green play areas, communal growing spaces and seating areas. During the summer, local life is often shared outdoors in the streets and squares. Architecture in Broomhall includes grand Victorian villas, genteel Georgian terraces, modernist high rise apartment blocks and houses of various ages and styles adapted for multiple occupancy and shop use. Broomhall is part of the most densely populated ward in Sheffield, with over seventy residents per hectare. Central Ward more than doubled in population between the 2001 and 2011 Census, mainly due to large numbers of students from the city’s two nearby Universities. 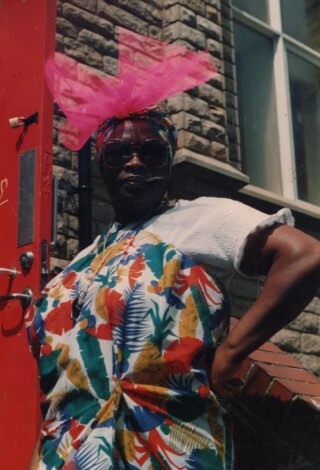 Almost half the ward’s population is black minority ethnic. A quarter of these are not identified with a British Country, largely due to the role Sheffield has long played as a sanctuary city that welcomes refugees and others fleeing violence and persecution. The census also reveals an increase in people of Broomhall who claim to have no religion. The evolving demographic served by the Broomhall Centre often poses challenges, but also huge possibilities. As a local resident who joined the Board of Trustees over ten years ago, I have witnessed most of the latter. Hundreds of students have offered voluntary help in the Homework Club, tidying the streets, supporting English language learning and running events and classes. People fleeing conflict zones and arriving with little, have found friends, learnt English, employability skills, seen their children settle and do well at school and, in turn, shared their culture, music, food and hospitality with those who welcomed them. I have seen funerals, as old faces pass on, and hope that the OUR Broomhall project, website and book may help maintain shared memories. New people and their children continually arrive in the area and every year brings more students. There are frequent partnership and christening parties, street events, music and carnivals. When there are problems, people of all ages, ethnicities and religions come together at the Centre to overcome them. I have seen tired and frightened women find hope and empowerment through the support and kindness of community members, workers and volunteers. I have also seen angry and disruptive young men grow into responsible and hard working adults with help from the youth and sports clubs at the Centre. As with many organisations, survival is a constant challenge, but we have provided a positive sense of continuity for local people for over forty years. A positive relationship with Sheffield City Council and responsible management in sharing our facilities for yoga, art, dance, parties and entertainment, on a self sustaining non profit basis, has played a large part in this. If you enjoy the book about the history of our community and the corresponding OUR Broomhall website, please come and visit or contact us about the Broomhall Centre’s facilities we have to share. There will always be a warm welcome.